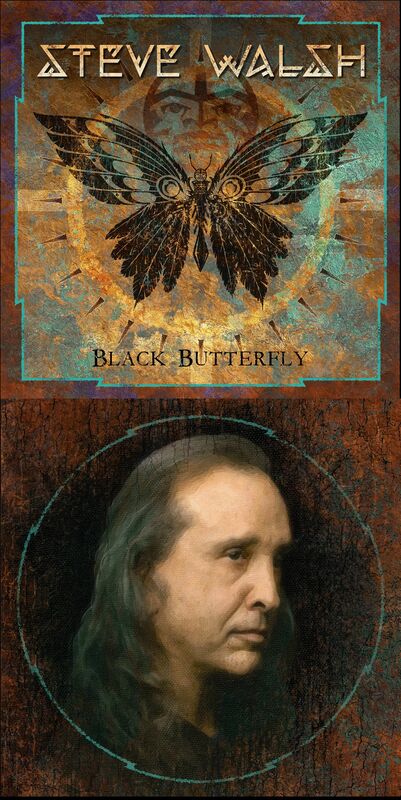 The Black Butterfly Album has been released!!! As the former lead vocalist and keyboards player for the American Classic and Progressive rock band Kansas, Steve Walsh is the voice behind the hits “Carry on my Wayward Son”, “Point of Know Return”, “Dust in the Wind” and “All I Wanted”. As a songwriter Steve is well known for penning a classic tune and his wide range of musical influences can be heard on his previous solo releases as well as the melodic rock band “Streets”. He has also contributed his vocal talents to more than a dozen projects by other artists covering a variety of musical genres. Khalil had a few ideas and one of which was to involve a singer named Jerome Mazza to sing a duet on “Born In Fire”.. Khalil had discovered Jerome on YouTube singing for his band “Pinnacle Point”. Jerome is also the voice behind the second album by Angelica and was honored to be asked to sing a duet on the album with Steve and we asked if he could contribute more. As Jerome has such a fantastic voice it was an easy decision to make and the result is explosive! A HUGE thank you to Escape Music and Khalil Turk as he was the driving force behind this project!! !